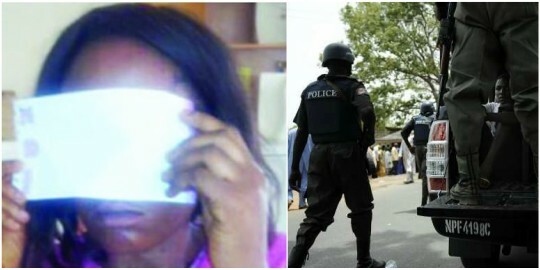 A traumatized 32-year-old Lagos housewife from Akwa Ibom State, Precious, who was beaten with a cutlass and blinded by her husband, at their home on Unity Christian Street, Akesan, Igando, Lagos State, has dropped the charges she made against her husband. Precious who is struggling to raise N180,000 for a surgery to repair the damaged eye, got married to Samuel when she was barely 14 years old, because her mom didn't want her to go into prostitution. The mother of four, said she had endured 18 years of domestic violence. She said, “Sometime last year, my housemaid told me that my husband beat her up. I went to ask him why he did that, knowing that if anything happened to the girl, I would be held responsible. Punch reports that the victim, who earned N700 per day at a restaurant where she assisted a cook, has not been able to raise the money since then. Precious said she was ready to separate from Samuel over fear that she could be killed, saying she was an orphan. On April 5, 2017, she petitioned the Lagos State Office of the Public Defender, appealing for help for the custody of their children and provide her with legal assistance to enable Samuel to take responsibility for their feeding, school fees and accommodation. Samuel was arrested and detained at the Area C Police Command, Surulere, but Precious was later pressurized to withdraw the case. Samuel, when contacted , said the matter had been resolved. .